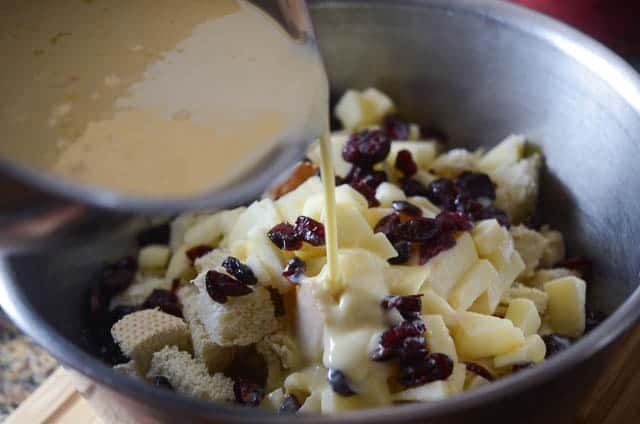 A dessert, steeped in tradition, all dressed up for the holidays with apples and dried cranberries and topped with a rum-spiked cream sauce. Pure comfort and totally festive. I have a tactic has been a vital part of my diet plan for years and has worked wonders. I try to limit myself to baking items that my husband and the boys love so they’ll disappear before I can do too much damage. 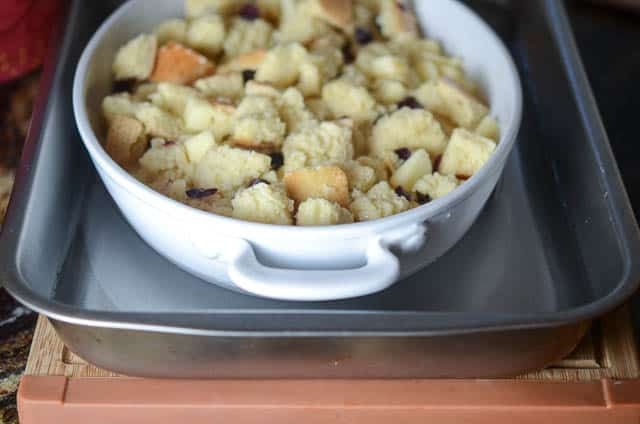 It’s for this reason that I’ve never been much of a bread pudding baker. 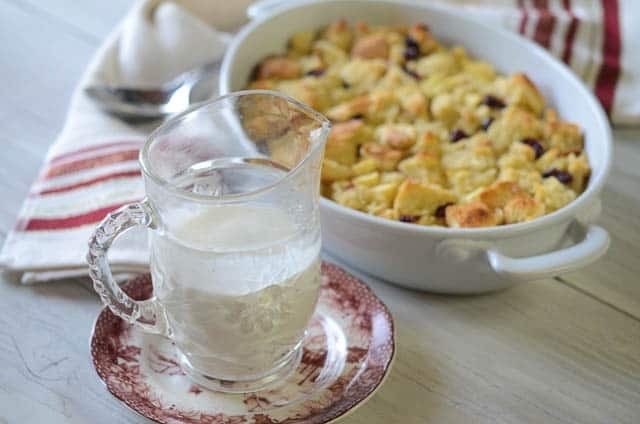 My husband was convinced he didn’t like it and yes, I’m using the past tense here because he tried this version and he is officially a bread pudding convert. I knew as soon as he took one bite of this luscious version, he’d be won over and I was right. 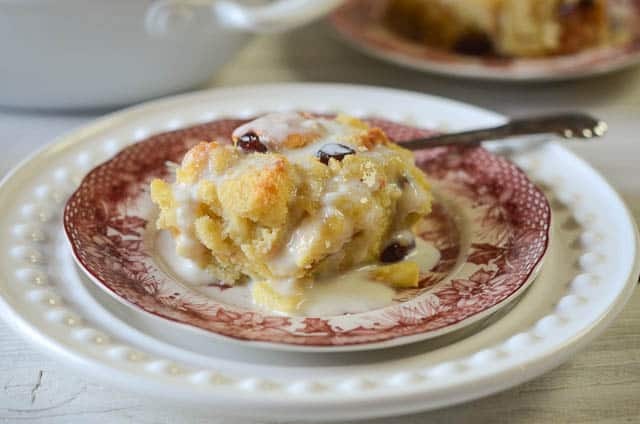 Apples and dried cranberries make it festive and the cream sauce…oh, help me, the cream sauce…is spiked with a little spiced rum and nutmeg and it is divine. 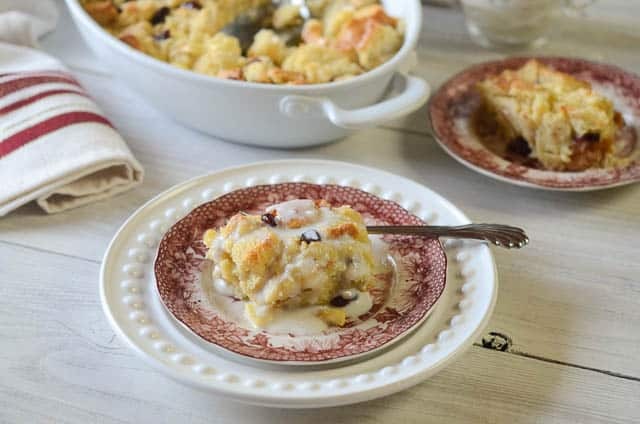 This dish totally brings on that Dickens, Christmas Carol, old-timey English vibe which makes it absolutely the right dessert for the holidays. 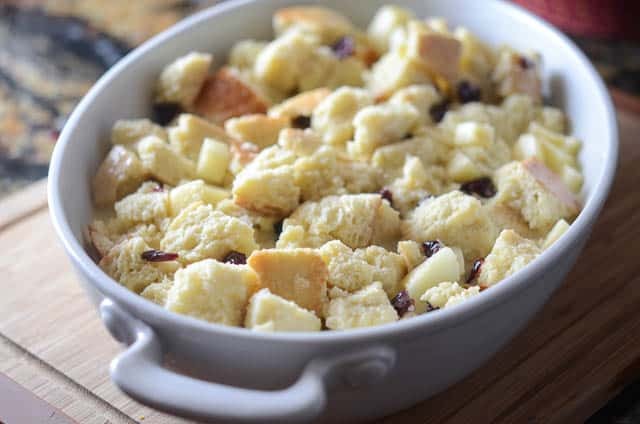 The basis of all bread puddings is…BREAD! I went with a loaf of sweet French but a variety of different breads would work here – challah and brioche are nice choices. 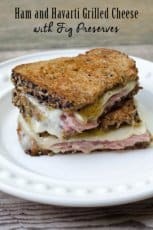 Avoid sliced sandwich bread and go with a loaf instead so you can cut thick slices to cube like in the photo above. 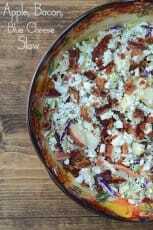 I had a little deja vu since the first step of this recipe is precisely the same as my Thanksgiving bread stuffing. 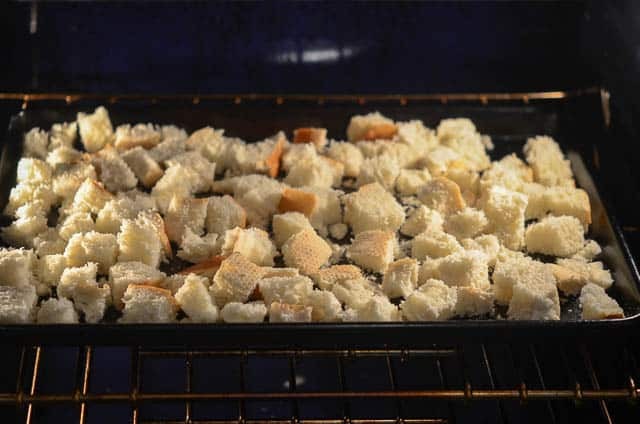 You can use bread that has been left out overnight but if you’re like me and can’t manage to plan ahead, just place the cubed bread on a rimmed baking sheet and pop it in a 350 degree oven for about 5 minutes until it is perfectly toasty. 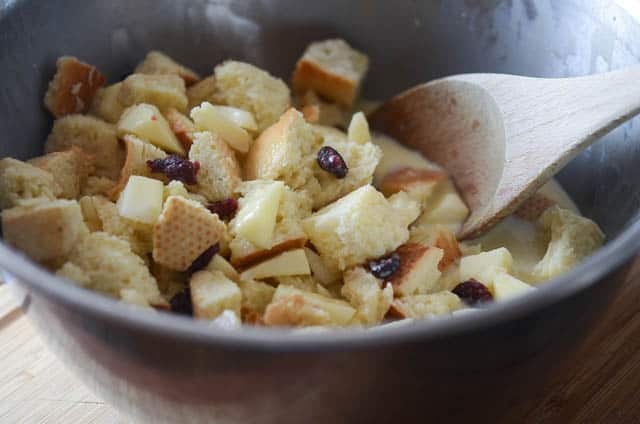 Transfer the toasted bread cubes to a large mixing bowl and add 1 peeled, chopped apple and 1/2 cup of dried cranberries, known around these parts as Craisins. In a separate mixing bowl, whisk together 1 cup of milk, 1 cup of heavy cream, 1 cup of sugar, and 2 teaspoons of pure vanilla extract (use the good stuff). Whisk until well combined and sugar has dissolved. Pour the cream mixture over the bread cube mixture. Stir the bread into the cream mixture until all of the bread is completely saturated. Transfer the mixture to a baking dish that has been coated with non-stick cooking spray. And, now it’s time for the “bain-marie”. I understand completely that when cooks start throwing around terms like bain-marie, one might have the urge to pack your bags and run for the hills. Fear not! Bain-marie is just a fancy term for “water bath”, a method of baking delicate items like custards to prevent them from curdling or drying out and is vitally important when baking cheesecake to help prevent cracks. To create your water bath you’ll need a deep pan that is a bit larger than your baking dish. Place the baking dish into the pan and then carefully add water to the pan, around the baking dish, until it rises to about the mid-point. That’s it! No big deal, right? In the oven it goes. Bake the whole kit and kaboodle at 350 degrees for about 50 minutes. Check the water level periodically and add more, if necessary. After 50 minutes, lightly press the center of the pudding. No wet custard should seep to the top and a knife inserted in the center should come out clean. 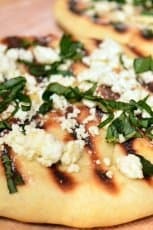 If it’s still wet and soggy, let it stay in the oven a little longer. I’m not going to go through the process of making the spiced rum spiked cream sauce because it’s easy as can be and the complete instructions are on the printable recipe below. 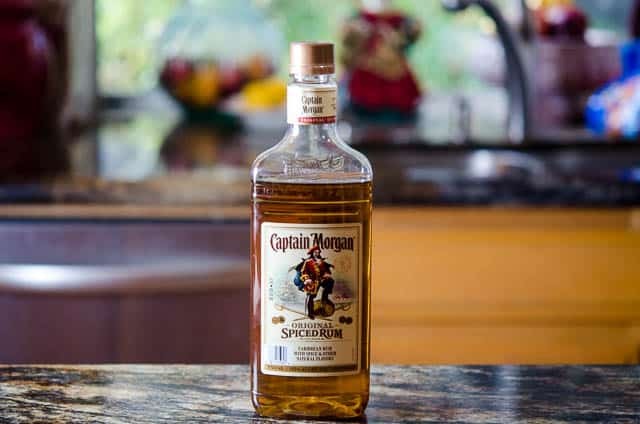 When I say “spiced rum” I’m referring to Captain Morgan. He’s the same chap that makes my Eggnog Thumbprint filling so delicious I want to eat it with a spoon. You can sub rum or vanilla extract if you’d prefer a booze free sauce but The Captain does something very nice to this sauce. And, it’s ony 1 tablespoon…and it’s Christmas! 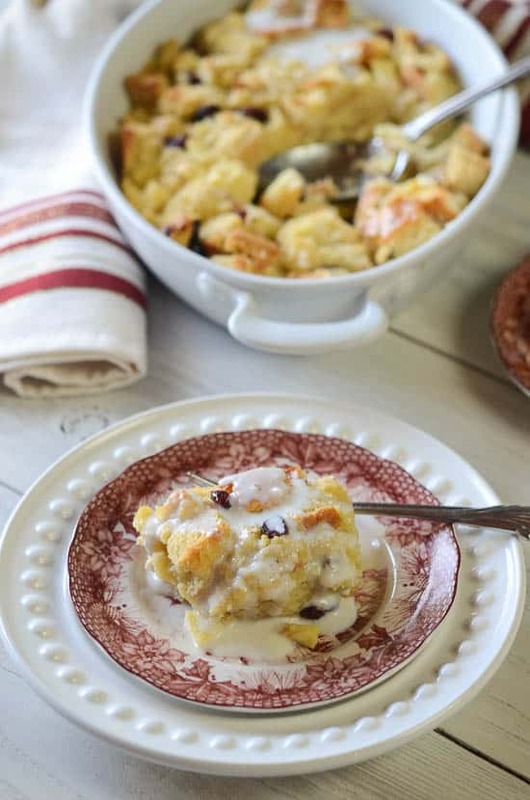 One note – bread pudding sauces are typically thin, not thick. I’ve added a few teaspoons of cornstarch to my version just to create a little body but this is intended to be a thin sauce. A thin, decadent, wildly delicious sauce. 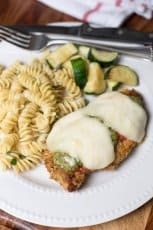 Pour the warm sauce over each serving and pass them around. I hope you are all having a wondrous, festive, cozy, warm, holiday season. Preheat oven to 350 degrees. Coat a 2 quart baking dish with non-stick cooking spray and set aside. 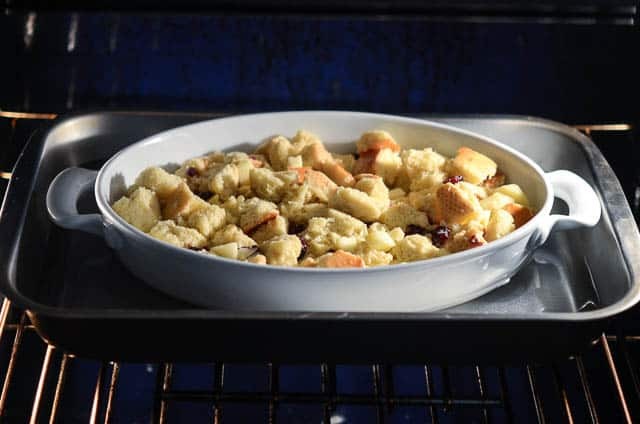 For the Bread Pudding:Place bread cubes on a rimmed baking sheet and bake until lightly toasted, 5 to 7 minutes. 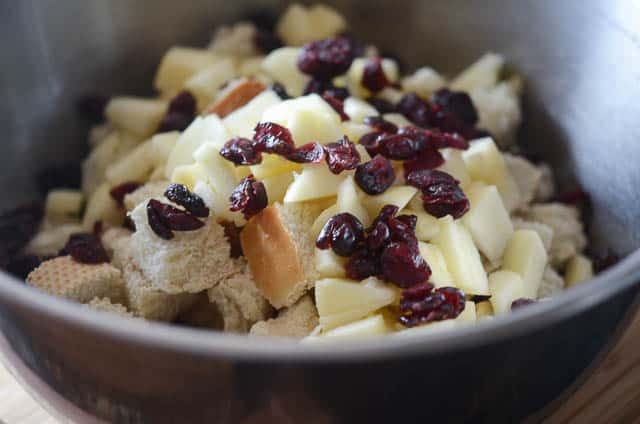 In a bowl, combine the toasted bread cubes, apples and cranberries. 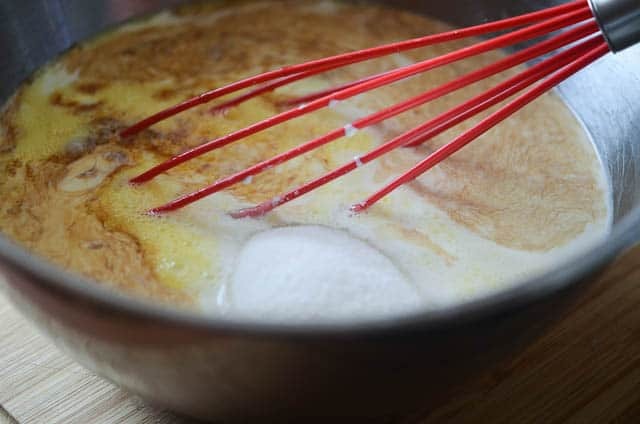 In a large mixing bowl, whisk together the eggs, milk, cream, sugar, and vanilla. Pour over bread mixture and mix until well combined. Transfer to prepared baking dish. Place baking dish inside a deep, large casserole dish or roasting pan. Fill larger pan with tap water about halfway up the sides of the baking dish. Bake at 350 degrees, checking periodically and adding more water if necessary. After 50 minutes, gently press down on the center of the pudding. If wet custard seeps to the top, let it bake for an additional 5 minutes or until a knife inserted near the center comes out clean. For the Cream Sauce:Whisk together cream or half-and-half, cornstarch, and sugar, in a heavy saucepan. Cook and stir over medium heat until sugar is dissolved and mixture is just slightly thickened. Remove from the heat. Stir in the spiced rum (or extract) and nutmeg. Serve warm with pudding. 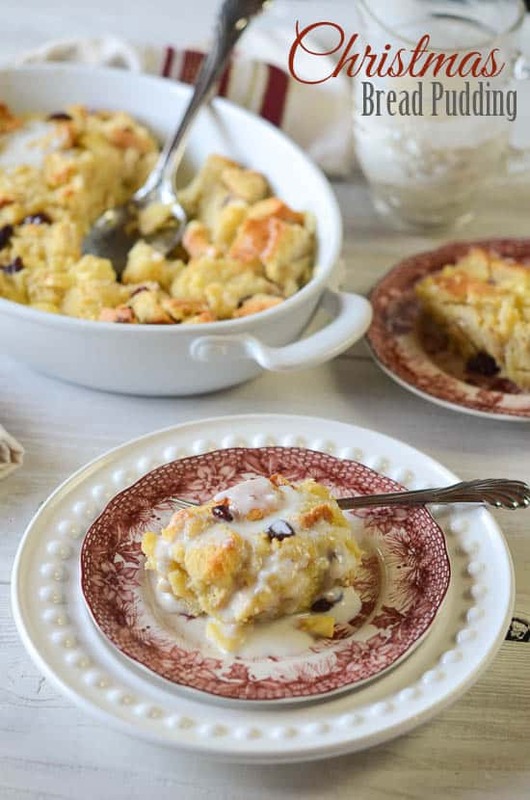 We love bread pudding in our house and this looks amazing! I think I will make this for our Christmas Eve get together. 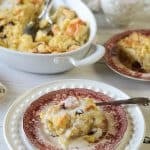 Very good bread pudding! Will have it for Christmas eve dinner ! I got a loaf of GLUTEN FREE BREAD FROM WholeFoods! Very Good ! Well, that drives a stake through the heart of my intention to go full paleo! New Year’s Day dinner dessert, here we come!